The Foundation Continues to Offer Plaques on the Boardwalk With the reopening of the entire Niantic Bay Boardwalk in 2016, the Foundation wants to remind you that now is the time to join over 1,700 others who have already done so, and sponsor a plaque on the Boardwalk. 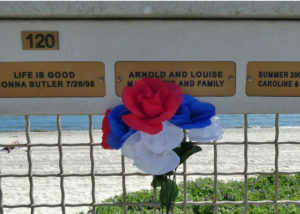 There are stories behind every engraved plaque on the Boardwalk. On the Boardwalk there are now over 1,750 plaques from more than 25 states and twoforeign countries. They celebrate weddings, anniversaries, births, graduations, and cherished summer visits. They express loss, sorrow, laughter and contentment. Historians of the future will value this mirror of the heart and soul of a small town in Connecticut in the 21st century. The Niantic Bay Boardwalk itself is a testament to what a small group of volunteers,working together with the town, can accomplish. 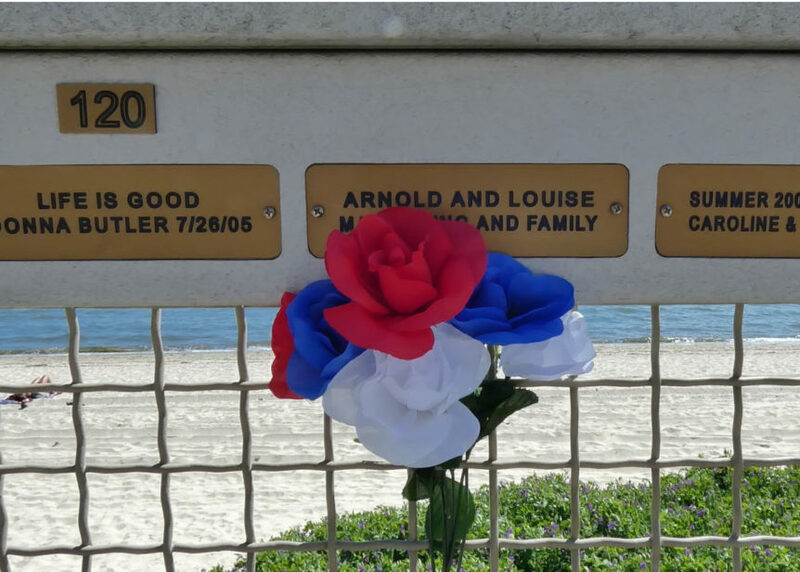 For a $100 tax-deductible contribution, become part of that permanent history by sponsoring a plaque with your own memory engraved, to be placed on the re-constructed Boardwalk. All funds raised by the sponsorship of the plaques are used to contribute to the maintenance of the Boardwalk and other Foundation projects. East Lyme Town Hall-Town Clerk’s Office, EastLyme Parks and Rec. Dept., East Lyme Library, and the E.L. Book Barn. They also can be found on the Trust web-site: CLICK HERE for a photograph of sample plaques. CLICK HERE for a Plaque Application. Become part of History while supporting a very worth while cause. Whether you sponsor a Public Trust Foundation tree, bench or plaque, don’t be left out: Act Now!